Have you been considering adding a bathroom or investing in custom bathroom remodeling for your home? There are a number of things to think about if you want to make sure that your investment pays off. Among these considerations is how big the bathroom will be and what features it will have. Do you have enough space for a full bath or you just want to add a powder room on the first floor or in the basement? Before you decide, do you know the difference between a powder room and a bathroom? Read on to learn more. A half-bath, also commonly known as the powder room or guest bath, only has two of the four main features of a full bathroom: a toilet and a sink. A half-bath is often found on the first or main floor of a multi-story home. It’s meant for use by guests or members of the household who don’t need to take a shower or bath. The Bathroom: Full or Three-Quarter? When we say bathroom, we normally think of a room where you can take a bath or shower. 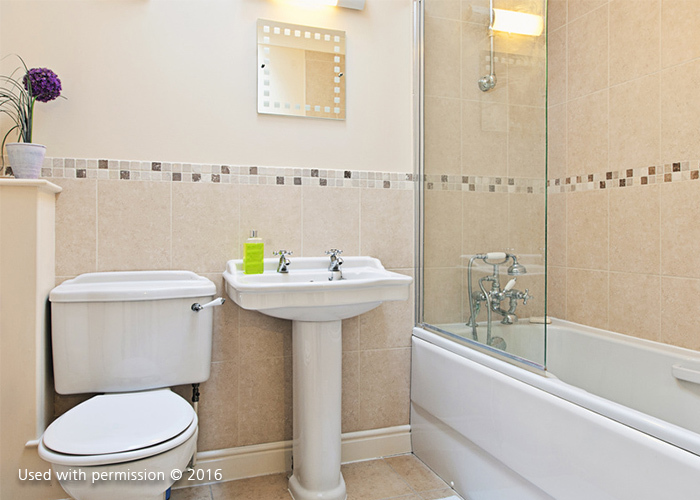 A full bathroom has four elements: a toilet, sink, tub and shower. Meanwhile, a 3/4 bathroom has a toilet, sink and shower. Who will use the room? If it’s mainly for guests, a powder room should suffice. If it’s for your daily use, a full or 3/4 bathroom would be a better addition. Where will you build it? If it’s in the main floor of your home or an area where you normally entertain guests, opt for a powder room. Get Started on Designing and Building Your New Bathroom Today! Ready to upgrade your old bathroom or build a new one? Get in touch with one of the most trusted bathroom contractors in the area, DreamMaker Bath & Kitchen of Orland Park, today! Call us at (708) 320-3417 to start a conversation about your next project.